Data security is top of mind, especially for mission critical applications, and SQL Server has been the enterprise database with the fewest security vulnerabilities six years running. * To help customers with data security and compliance when using SQL Server on-premises or in the cloud, we are introducing Always Encrypted. Always Encrypted, based on technology from Microsoft Research, protects data at rest and in motion. 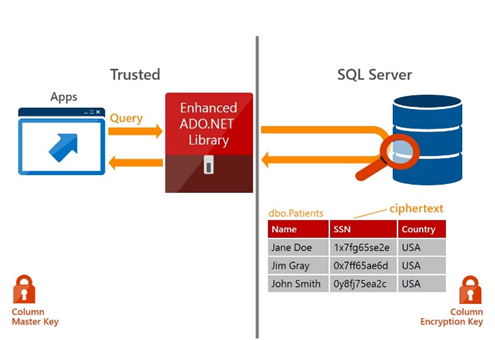 With Always Encrypted, SQL Server can perform operations on encrypted data and best of all, the encryption key resides with the application in the customers trusted environment. Encryption and decryption of data happens transparently inside the application which minimizes the changes that have to be made to existing applications. Today, in the Ignite keynote, we showcased how you can gain the benefits of hyper-scale cloud in the box with new hybrid scenarios including Stretch Database. As core transactional tables grow in size, you may need to archive historical data to lower cost and to maintain fast performance. This unique technology allows you to dynamically stretch your warm and cold transactional data to Microsoft Azure, so your operational data is always at hand, no matter the size, and you benefit from the low cost of using Microsoft Azure. You can use Always Encrypted with Stretch Database to extend your data in a more secure manner for greater peace of mind. Building on our industry leading and proven in-memory technologies, customers will benefit from the combination of real-time operational analytics with blazing fast transactional performance – a first among enterprise vendors. For In-Memory OLTP, which customers today are using for up to 30x faster transactions than disk based systems, you will now be able to apply this technology tuned for transactional performance to a significantly greater number of applications as well as benefit from increased concurrency. 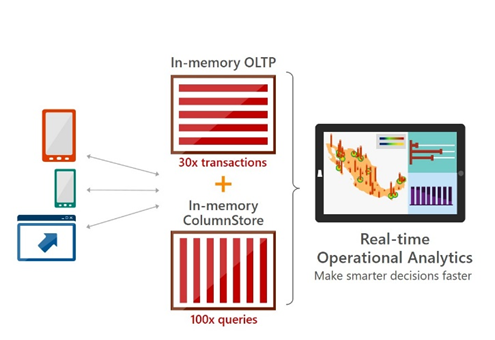 With these enhancements, we also introduce the unique capability to use our in-memory columnstore delivering 100X faster queries with in-memory OLTP for in-memory performance and real-time operational analytics. 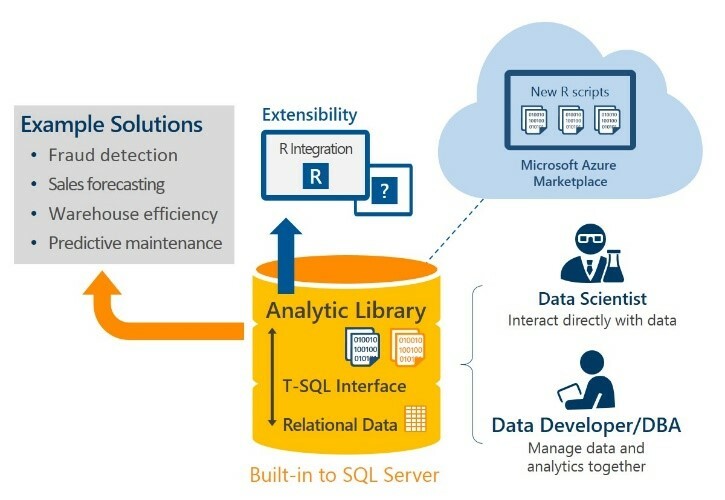 For deeper insights into data, SQL Server 2016 expands its scope beyond transaction processing, data warehousing and business intelligence to deliver advanced analytics as an additional workload in SQL Server with proven technology from Revolution Analytics. We want to make advanced analytics more accessible and increase performance for your advanced analytic workloads by bringing R processing closer to the data and building advanced analytic capabilities right into SQL Server. Additionally, we are building PolyBase into SQL Server, expanding the power to extract value from unstructured and structured data using your existing T-SQL skills. 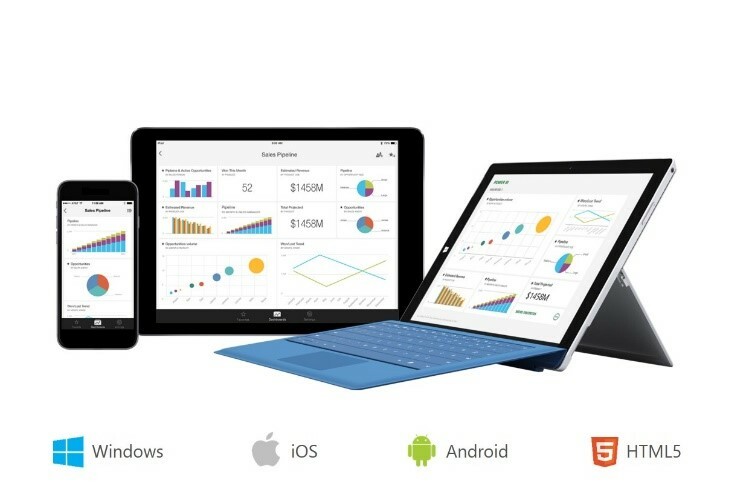 With this wave, you can then gain faster insights through rich visualizations on many devices including mobile applications on Windows, iOS and Android. Last week at Build we announced exciting innovations to support our mission of making it easier to work with your data, no matter how big or complex. We also shared how we are bringing capabilities to the cloud first in Azure SQL Database as with such as Row-level security and Dynamic Data Masking and then bringing the capabilities, as well as the learnings from running these at hyper-scale, back to SQL Server to improve our on-premises offering. Thus, all our customers benefit from our investments and learnings in Microsoft Azure. 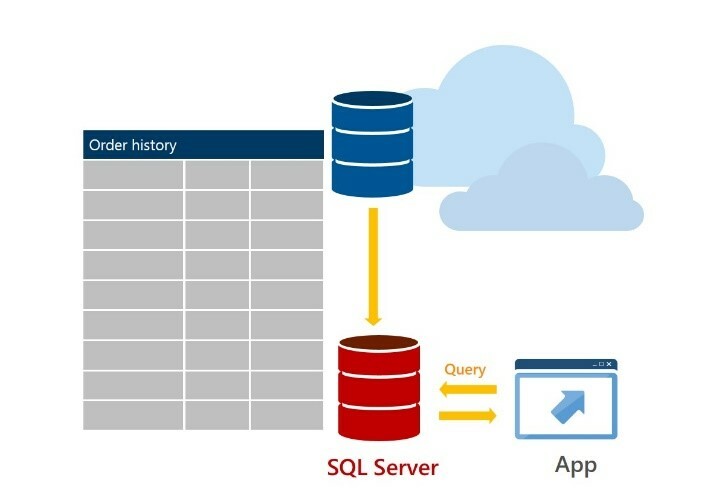 In addition to our hybrid cloud scenarios and investments in running SQL Server 2016 in Azure Virtual Machine, SQL Server delivers a complete database platform for hybrid cloud, enabling you to more easily build, deploy and manage solutions that span on-premises and cloud. As the foundation of our end-to-end data platform, with this release of SQL Server we continue to make it easier for customers to maximize your data dividends. With SQL Server 2016 you can capture, transform, and analyze any data, of any size, at any scale, in its native format —using the tools, languages and frameworks you know and want in a trusted environment on-premises and in the cloud. Be sure to visit the SQL Server 2016 preview page to read about the capabilities of SQL Server 2016 and sign-up to be notified once the public preview is available.